The fake watch industry is a $9 billion global industry and growing. 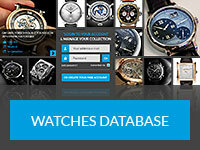 Many people believe that purchasing a fake or replica watch (as they now prefer to be called) is a harmless pastime, and an easy way to cut an expensive corner so as to enjoy the real deal, but the fact is, most fake and replica watch sales can be traced back to organised crime and the proceeds go towards funding other criminal activities. Criminals do not need to rob banks when they can rob watch companies of their intellectual property. There are probably more fake Rolexes than there any other brand, and just about every model in the Rolex collection has been obsessively copied. 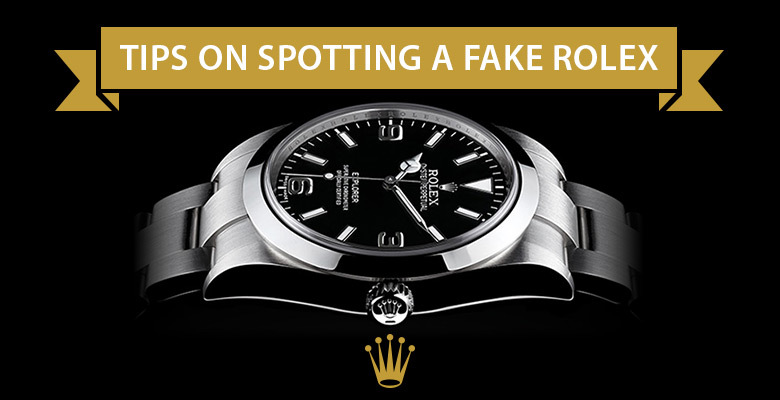 With careful observation you can still tell a fake from an original. Here for example are some key signs to look out for if and when someone offers you a cut price Rolex. A real Rolex is a top quality product, be suspicious if the following do not seem quite right. There are other pointers that can help you determine whether or not you have a real Rolex in your hand, and one of these is weight, if it feels light it is probably a fake, but bear in mind many replicas are weighed to achieve the exact same weight as the real thing. Take a look at the quality of the crown and the pushers if you buy a chronograph, these should be high quality machined and polished components which perform faultlessly time after time. The Sapphire Crystal: Rolex watches are fitted with a sapphire crystal (the glass lens on the watch) that can only be scratched with a diamond, if the lens scratches easily, you know it’s not sapphire crystal. The Cyclops Date Window: The ‘cyclops’ date window in a real version is dead-centred above the number, not tilting downwards. Also, the magnification it affords is difficult to emulate, if it is not clear, you may have been duped. The attention to Detail: Look for the quality of the printing on the dial. It should be perfect, with indicators and type evenly spaced and no fuzzy edges. A Smooth Movement: Nowadays many fake Rolexes are fitted with reliable Chinese, Japanese and sometimes Swiss automatic hacking movements. Hacking is when the second hand will stop for you to set the exact time. In fact these work reliably and smoothly, so it will be difficult to detect any difference without having a watch dealer open up the case to check. The Logo: Where the words ‘Swiss made’ appear, the brand’s logo is laser-etched into the crystal. Barely visible, the laser etching is composed of hundreds of dots set at different heights throughout the crystal so as not to weaken the glass. To see it clearly you have to look through a loupe. The Bracelet: When you remove a genuine Rolex bracelet you will discover the watch’s case number and model number engraved on the side at 6 o’clock and 12 o’clock. In recent years, due to the advances in CNC machining and the availability of quality automatic movements, replica watch prices have risen steadily. But even though you may save money and still tell the time, always remember fakes are for dummies. And always remember: “If it’s too good to be true, it ain’t true“.